Hi Everyone, hope you're enjoying your weekend. 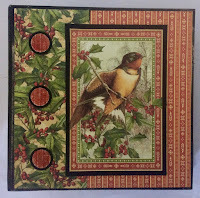 With crafting for Christmas all around us thought it would great to have a festive themed giveaway this month. 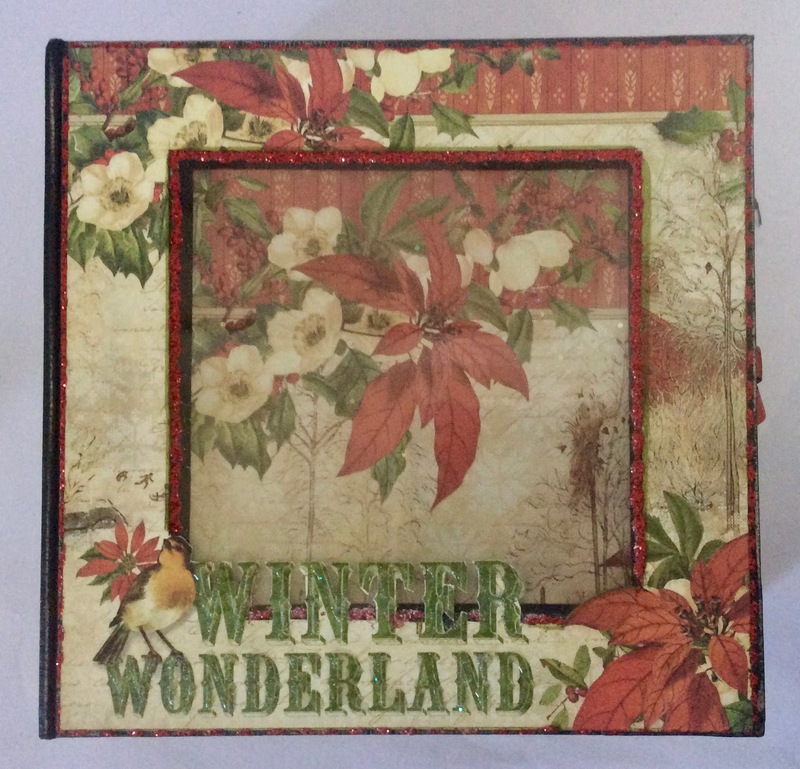 Altered in papers from the Winter Wonderland collection by Graphic 45 this fun little mini album and coordinated case is perfect to hold those festive pics we all like to take and keep. To be in with a chance to win this fab bundle leave your comment on this blog post before midnight on 31st August (BST) 2018. Our winner will be announced here on the blog on 1st September. Good luck. What a wonderful project, the way you have made up the album is stunning. What a great giveaway - love the minibook with its co-ordinated case. Hello Claire, I love all your work and this album is even beautyfull! Your the only one who doesn’t make me upset about a Christmas post in August lol! Beautiful kit as always! Clare your creations always give me a creative nudge, thank you! 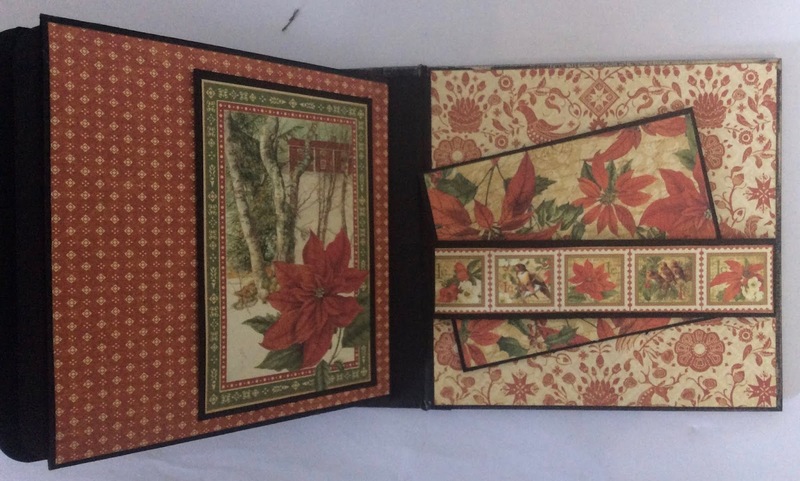 Hi Clare, another amazing creation and giveaway. Would love to win. Hi Claire! I’ve love ❤️ your projects and am always looking at your creations for inspiration. You always have the best ideas!!! Your work is enchanting. What a treasure it would be to have. I'm already excited for Christmas and this beautiful album makes me even more so. Thanks, Clare, for a chance to win such a great gift! Love your latest album and box Clare. Pretty papers!! Hope I have a chance to win!! Love the mini album and box! 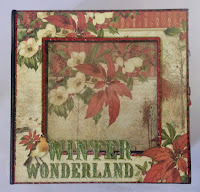 Sharon P.
I love everything about Graphic 45, especially their Christmas collections.... I can't wait to see what you do with this years collection. 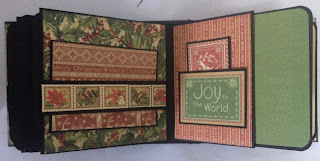 I love everything about Graphic 45 especially their Christmas collections. I can't wait to see what you do with this years collection. Thanks, Clare for the chance to win this! Lovely, as usual. Beautiful album & paper. Love G45 papers. This is just beautiful! Thanks for a chance to win....could you include just a thimble full of your talent with the project if I were to win? Good luck everyone! Thanks for the chance to win this fabulous project. Made one like this before. Absolutely beautiful. Would love another one. Great design Clare. Hi Clare, This is surely a gorgeous giveaway with gorgeous papers, I love it !1 Anyone would be 'over the moon' to win this bundle. Hi Clare. 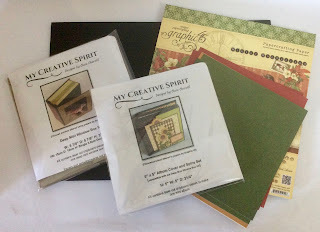 Have been missing your fabulous classes, but am going to stock up on some goodies instead. Love this kit! 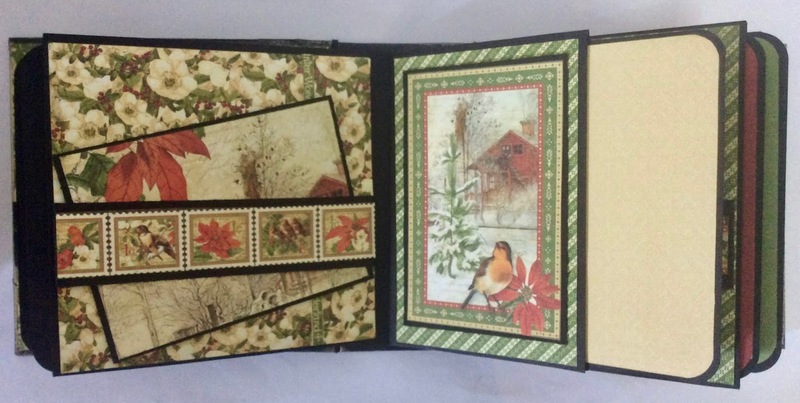 I have fallen in love with these beautiful papers and your Album , you always lead the way Clare with such beautiful work. Lovely as usual Clare. Just love all the different ideas you come up with. In the outback at present. Love Bev. Lovely little project. Thank you Clare, for the chance to win this super kit. Beautiful-your albums are always so much fun to look at. Count me in for the giveaway. This is absolutely stunning! Christmas and colder weather will be here before we know it and this would be the perfect keepsake for all those upcoming memories. Thanks so much for the chance to win! 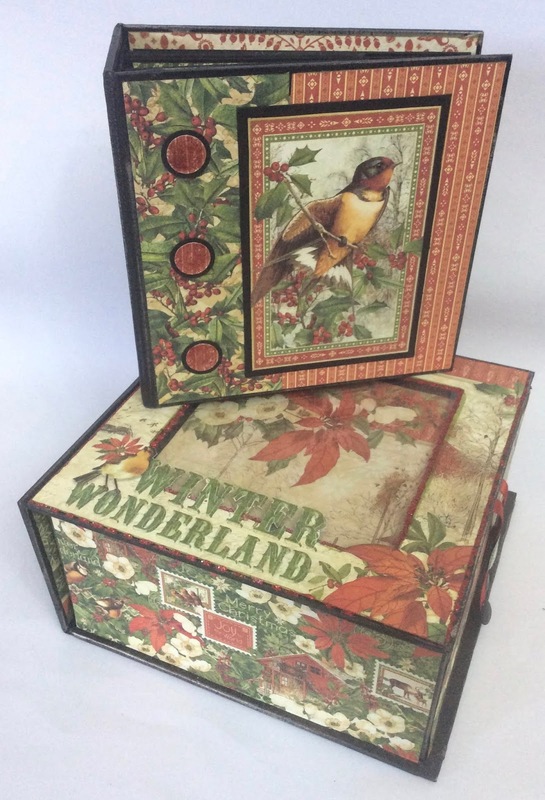 Hi Clare, First met you a few years ago when you had just started your journey , loved what you did then and still love what you create with these fab papers . I would love to win this album, it's truly stunning . Hello Clare. Wow, what a beautiful project for this month's prize. 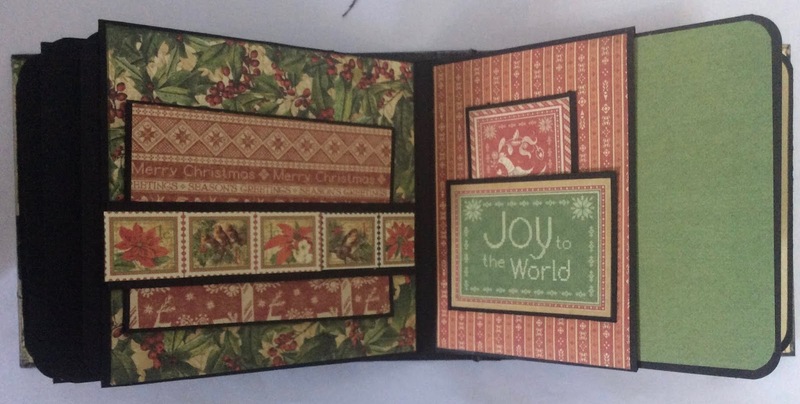 I do love traditional Christmas colours and of course Graphic 45. Fingers and everything else crossed, for a win. You are a wonderful paper artist. So beautiful! Great way to use that collection. Thanks for the link to the video, too. Hi Clare. Once again another great giveaway and one I too would love to give a new home to. Thank you for the opportunity of winning this great new project. Take care. I’m excited to receive the August kit of the month - my first purchase from you. It will be a gift for my son, the photographer in the family. This Christmas album would be the perfect surprise for my daughter. Thank you for pulling these albums together, Clare. I’d be overwhelmed trying to do it myself. Cheers ! This is absolutely adorable. Thanks so much for sharing your amazing ideas, you are talented for sure. Beautiful give away, another item to add to my ever growing wish list! Fingers crossed here too! Yet again another fab album using stunning papers. Thank you for the opportunity to win . Lovely giveaway, Clare, as usual. Fingers permanently crossed! I've never won anything in my life, but I am glad I stopped by to see what's new! Having made this at your crafty retreat..... how nice would to be to do again! Another beautiful project. Thanks for all the inspirational ideas you share. As a fan of your online tutorials....I would so love the opportunity to win this stunning kit. Papers gorgeous and design amazing as always. 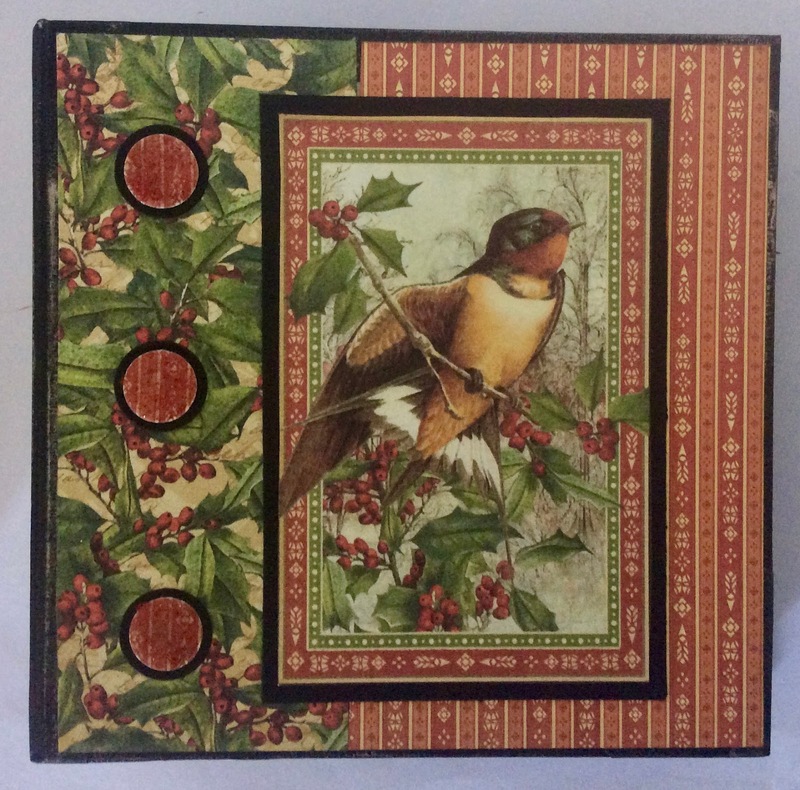 Stunning, I love this paper so much I have already made my Christmas cards for this year from it. Wold LOVE to make the album to go with. Lovely project. Thanks for the chance to win x. These papers are beautiful what a pleasure it would be to win and make this as a Christmas gift.